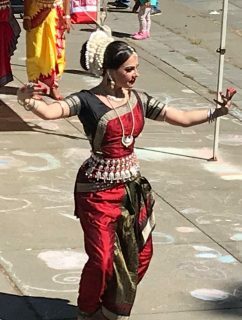 In Imogene Inglet’s book, Lil’ Ol’ Lake City, the opening to her chapter on “Pioneer Days” starts with the following: “What keeps a tradition alive? People! 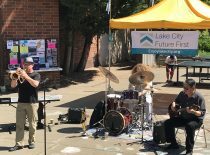 And, in the case of Lake City, a community spirit that never dies.” Imogene goes on to talk about the beginnings of the “Lake City Summer Festival” that in 1947, became known as “Pioneer Days”. 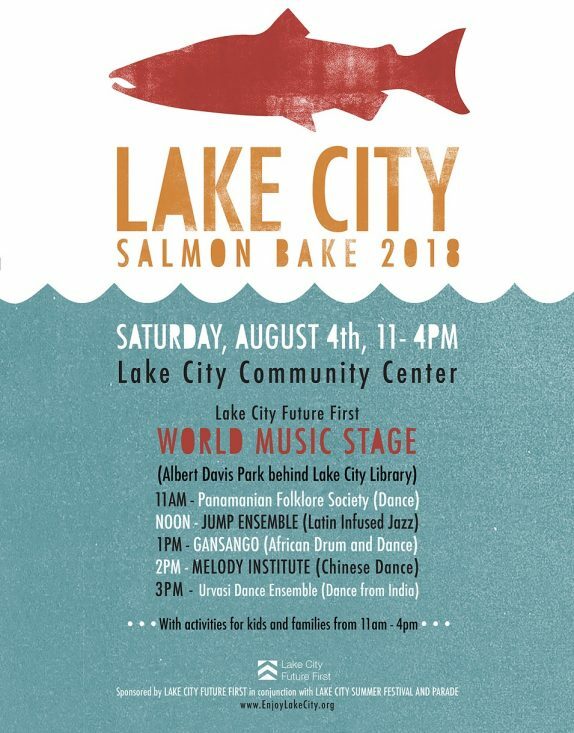 It was Ethel and Albert Davis (for whom Albert Davis Park behind the Lake City Community Center is named) that started the tradition of the Salmon Bake in 1950 after taking it upon themselves to research methods of cooking salmon by traveling to salmon bakes around the region. For over 70 years the Salmon Bake has gone on in Lake City as part of the community’s largest celebration. 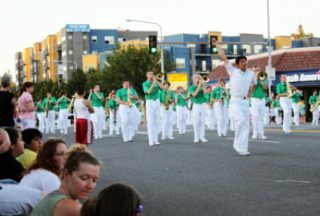 Imogene’s words continue to ring true as neighbors and community members come together, working hard to create a festival and parade that is reflective of our changing and growing Lake City.